Learn more about 10 pieces of artwork you’ll see inside the heritage Dominion Bank Building that houses the restaurant. Teatro takes pride in sourcing the best local ingredients. Consider the artworks as ingredients in the restaurant experience. They contribute to the environment of opulence, in the spirit of gesamtkunstwerk, the architectural concept of all-embracing art form. Grand space, fine art, good service and excellent cuisine all work together. 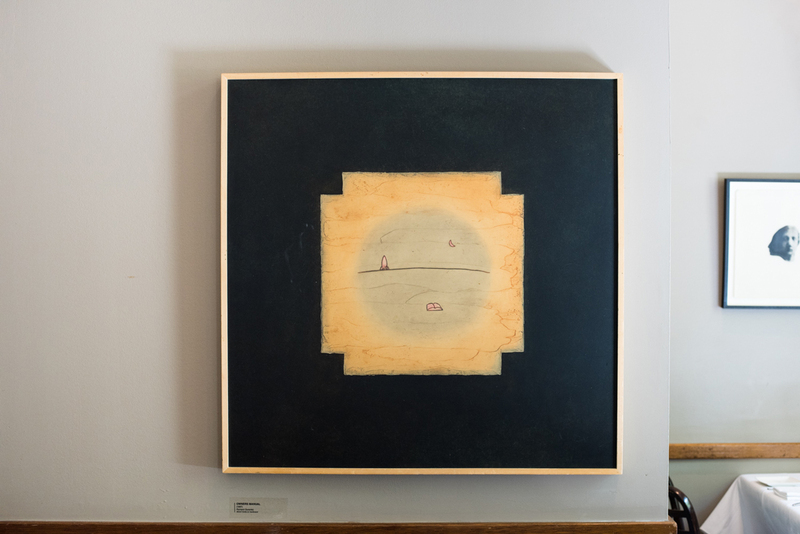 Owner Dario Berloni began selecting art for the restaurant when it opened in 1993, with an impeccable eye for a particular contemporary aesthetic that complements the heritage Beaux-Arts architecture of the Dominion Bank Building. 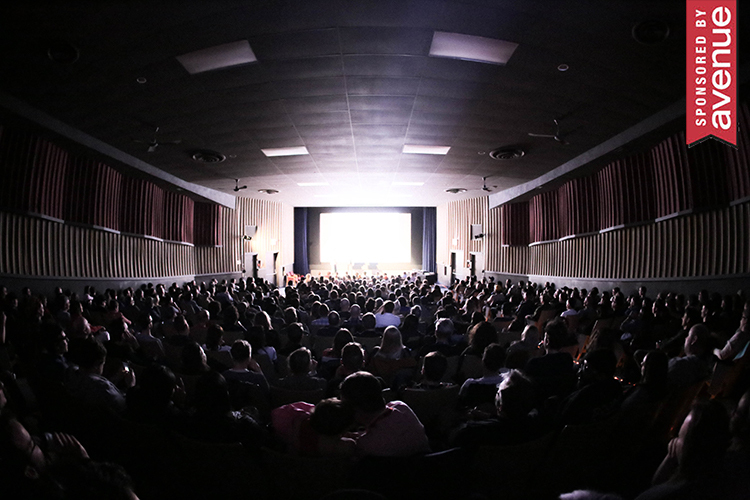 Berloni continues to be a strong supporter of Calgary’s cultural community. 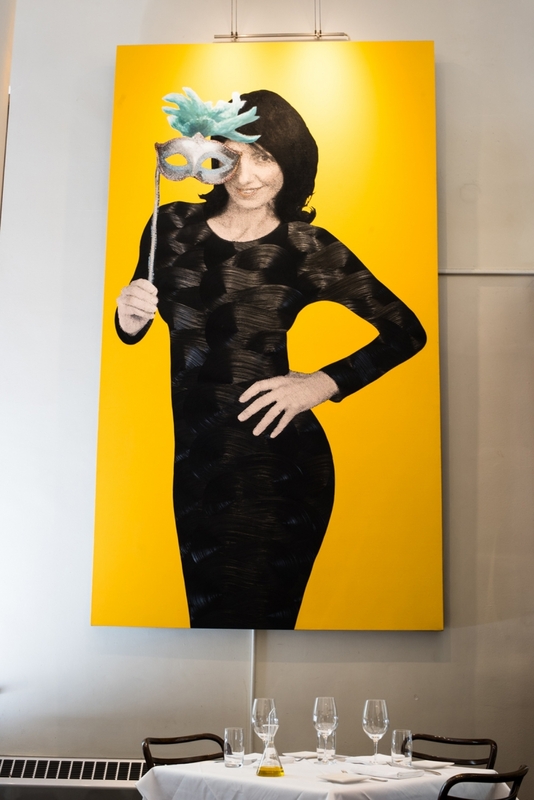 The diverse paintings, drawings and prints are by some of Calgary’s best artists and during this 25th birthday year, the restaurant has resurrected a scholarship program for students from the Alberta College of Art + Design. 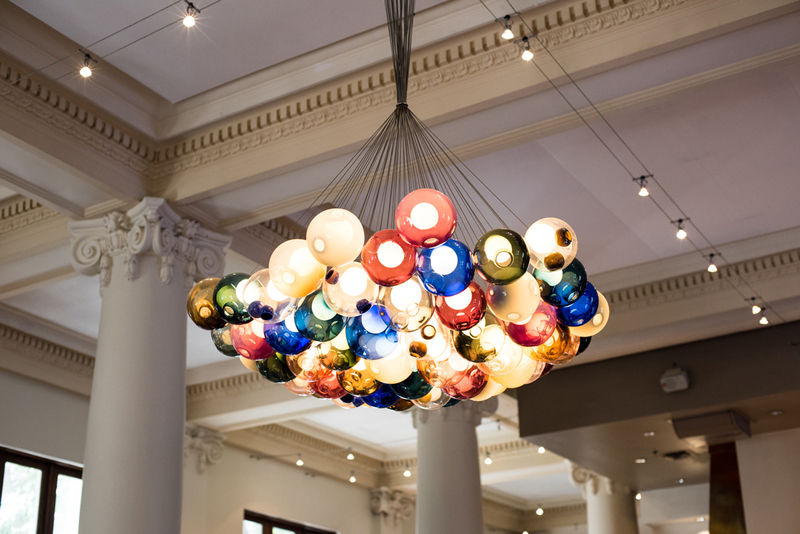 The newest feature, a European-style minimalist chandelier, hangs like an upside-down bouquet. More than 50 spheres glow in a range of colours selected by the restaurant: amber, rose, muted turquoise, soft green, milky white and grey ombré punctuated with a sprinkling of intense cobalt blue. Each is illuminated with an inner light bulb. To add surprise and playfulness to the wow factor, each ball has one or two bubbles within. Chris Cran is an internationally respected local artist. This portrait has special pizzazz with some quintessential Cran ingredients: theatrical allure, black and yellow graphic punch, and a surface technique of dragging a wide brush through oil paint in overlapping swirls, producing a texture that catches and plays with light like a vinyl record. The arrangement of lemons hearkens to still life painting in the history of art, for example one by Cézanne, one of Cran’s favorite painters. 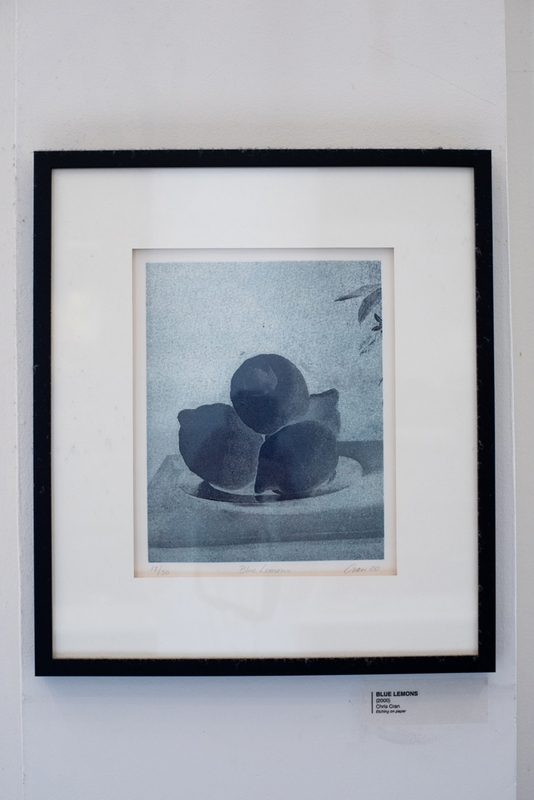 But the interplay between painting and photography, one of Cran’s longstanding interests, comes to the fore. The photographic image is enlarged to reveal the tonal device of dots that we recognize from pre-digital newspaper photos. But we see also Cran the trickster at work. The image is of a film negative, with light areas appearing dark. Cran’s friend and fellow instructor at the Alberta College of Art + Design at the time, master printer Ken Webb, printed the delicate blue etching for the 2000 ACAD President’s Circle commission. 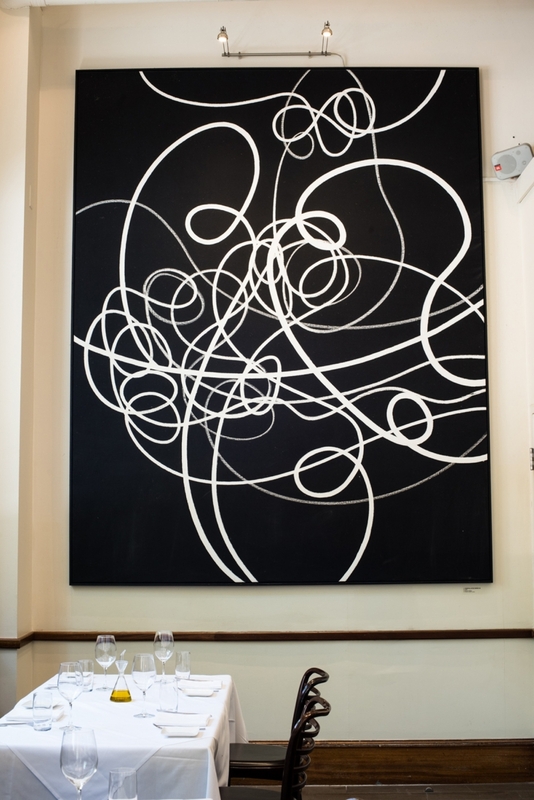 Berloni wanted a work by the rising international art star, and with advice from his friend, gallerist Yves Trépanier, he scooped this iconic work as one of the first major purchases for the restaurant just shortly after it was featured in the pages of the German magazine, Stern. Marianna Gartner is a Canadian painter born in Winnipeg, who lived in Calgary during her early childhood. She made this work in her early 30s, and two years later won her first major commission, a province-wide competition to paint the Rotunda Dome Mural in Calgary’s Alberta Treasury Branch, using old photographs to represent a diverse group of Calgarians. Her career took off with paintings based on her fascination with Victorian figures, and the strange, sometimes eerie images that she achieved translating early photographs into paintings. Essayist Alberto Manguel wrote about her work when he was writer-in-residence at the University of Calgary in the 2001 publication, Reading Pictures: A History of Love and Hate. Gartner now enjoys an international career and lives and works in Victoria, B.C. and Europe. 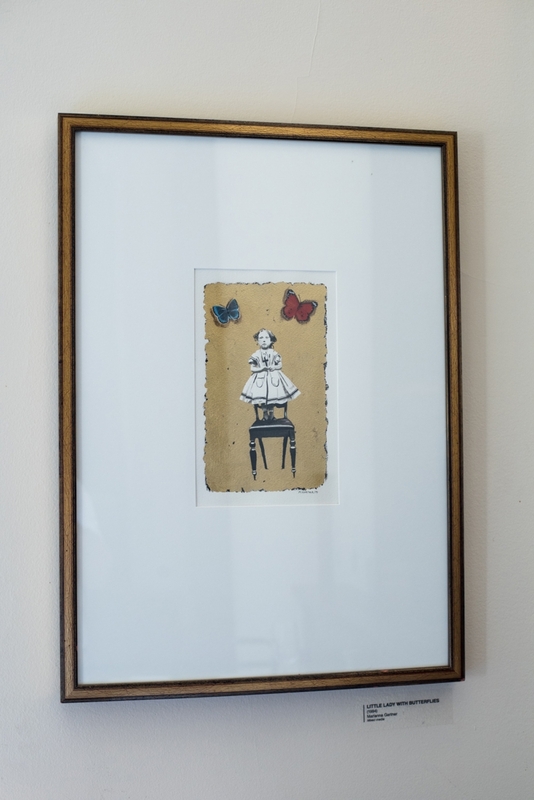 This mixed media piece has many of the hallmarks of folk art — a simple drawing with a big dose of whimsy in a handmade frame. But Saskatchewan born artist Richard Gorenko is highly educated, with a BFA from the University of Saskatchewan, an MA from the University of Dallas and MFA from the University of Calgary. 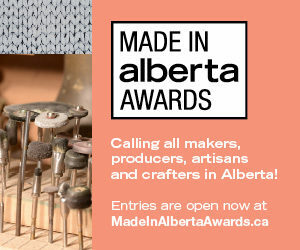 He came to Calgary from Saskatchewan in the early 1990s and now teaches drawing and print media at the Alberta College of Art + Design, splitting his time between Victoria and Calgary. He is well known for summing up prairie life (and dreams) in deceptively simple, but perfectly proportioned landscapes that evoke a story, sometimes absurd, but usually with a touch of prairie know-how and resolute independence. Richard Halliday was an influential teacher and the department head of drawing at the Alberta College of Art + Design for many years. The Constellation Series of elegant black-and-white canvases brought him deserved national acclaim at the end of his career. 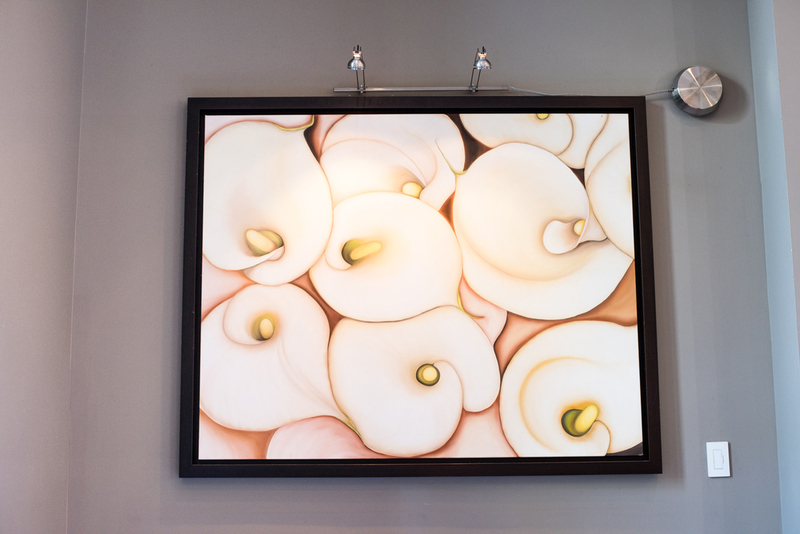 This sensual painting of calla lilies sets up a conversation with many of the other elements in the room. The peach shadows pick up the warmth of copper gleaming from the impressive kitchen hood, heating lights and edging strips on the tabletops near the bar. The white roundedness of the flowers is in synch with the giant orb that illuminates the patio. 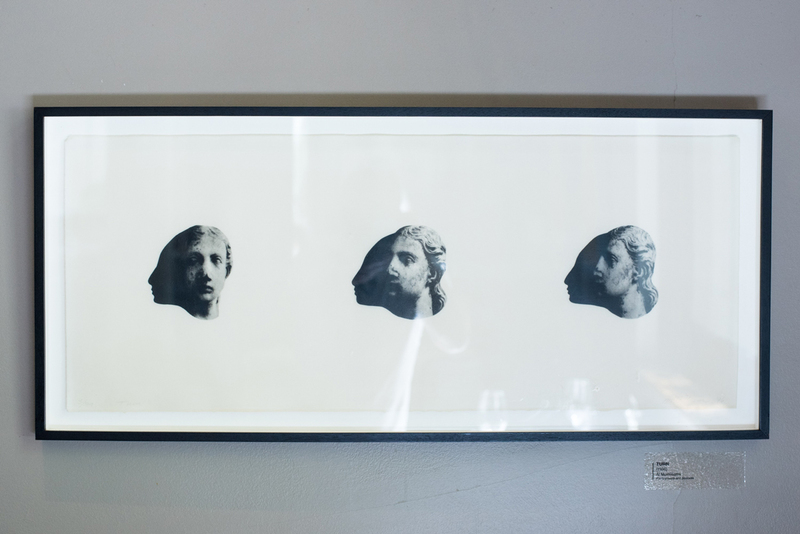 Vancouver-based artist Al McWilliams employs photographic images of stone and marble figures seen on the facades of European cathedrals. When he reframes them as sculpture, installation or two-dimensional work, he infuses them with warmth through contemporary material form. Here, the face of Eve from the Orvieto Cathedral looks toward you, and, as if in stop-motion animation, turns away. With each pose, the solid shadow to the left of the head creates another form of a portrait, similar to Victorian silhouettes. McWilliams reminds us in many ways that the original artist, now unknown to us, looked to the people around him (or her) as models. Even the paper has substance that softens the images; after a dip in beeswax, it takes on a supple quality, reminiscent of skin. 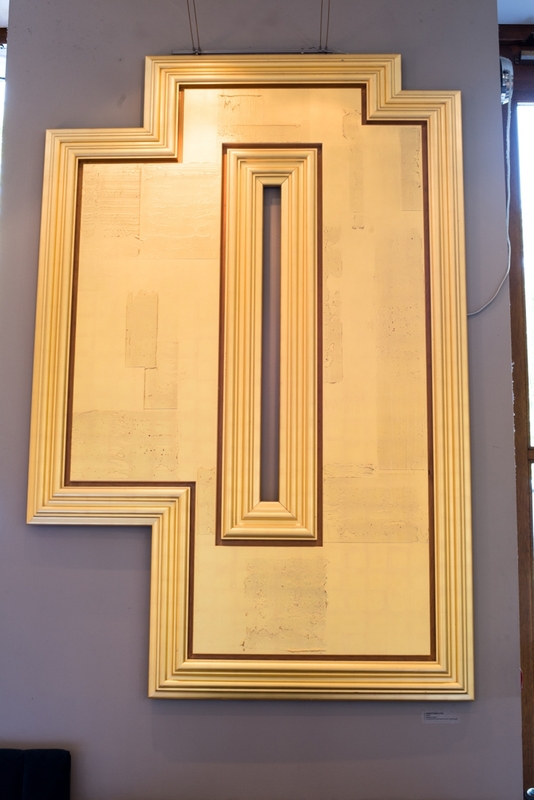 The two sculptural mirrors on the right and left of the entrance are new additions to Teatro’s decor. They are from a line of mirrors named “caadre,” by French architect and renowned designer, Philippe Stark. On the website for the Milan design firm, FIAM Italia, Stark is quoted: “Perhaps Narcissus has fallen into the water, intent on finding this mysterious mirror, framed in curved glass that reflects truth, while changing it? 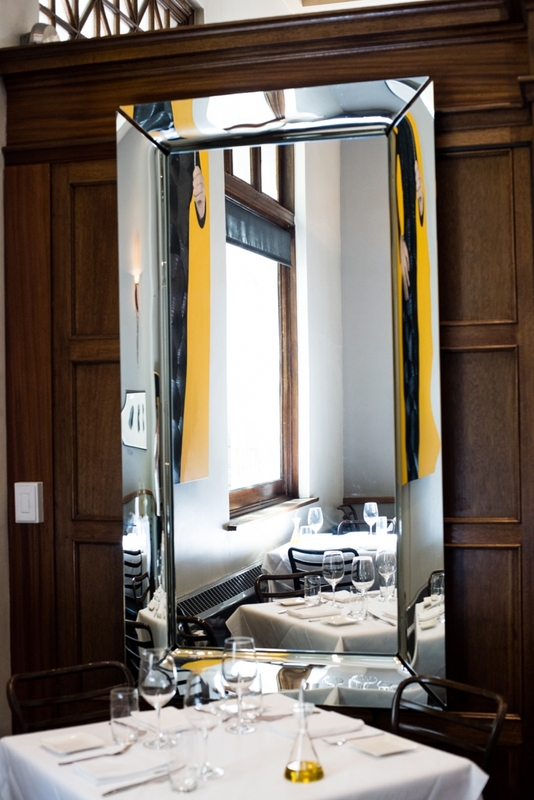 Truth or lie?” The elegant mirrors augment Teatro as a grand room and give us pause for a double take as we become images in the mirror and briefly join the others in the room.